I have to recommend last night’s private albergue. The service to price ratio was excellent and the menu del dia was good value. It was such a treat to sleep in a single storey bed, with no snorers or light-shiners around. 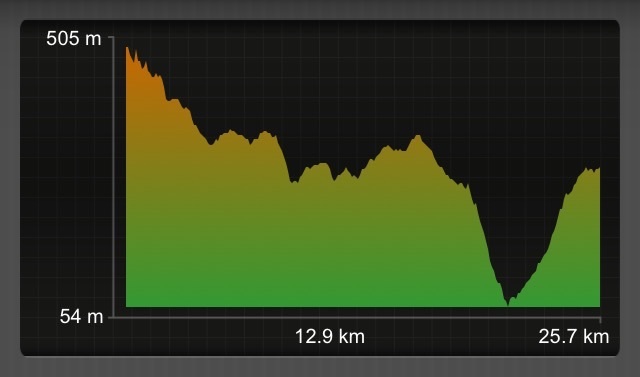 Consequently I made a very leisurely start to the day and didn’t leave until 07:30. 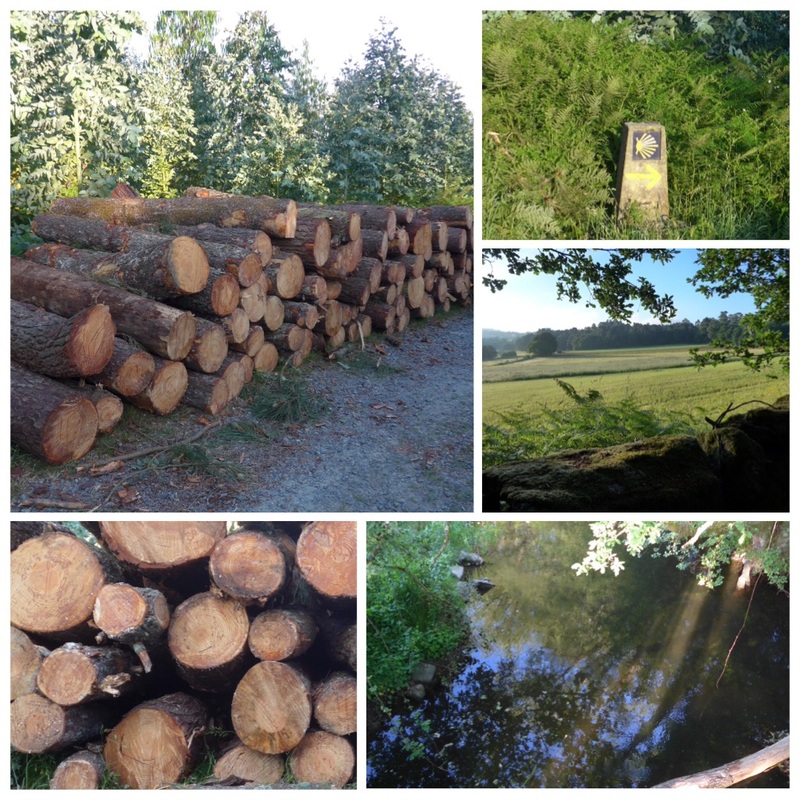 It was a shortish walk out of the town with a few diversions off the 525 which we have been following for a very long time. It was fresh but not as cold as recent mornings and I was soon stopping to divest myself of my jacket. Overall there was quite a lot of road walking today, but most of it was on very quiet country roads with beautiful scenery and was interspersed with sections of woodland tracks. 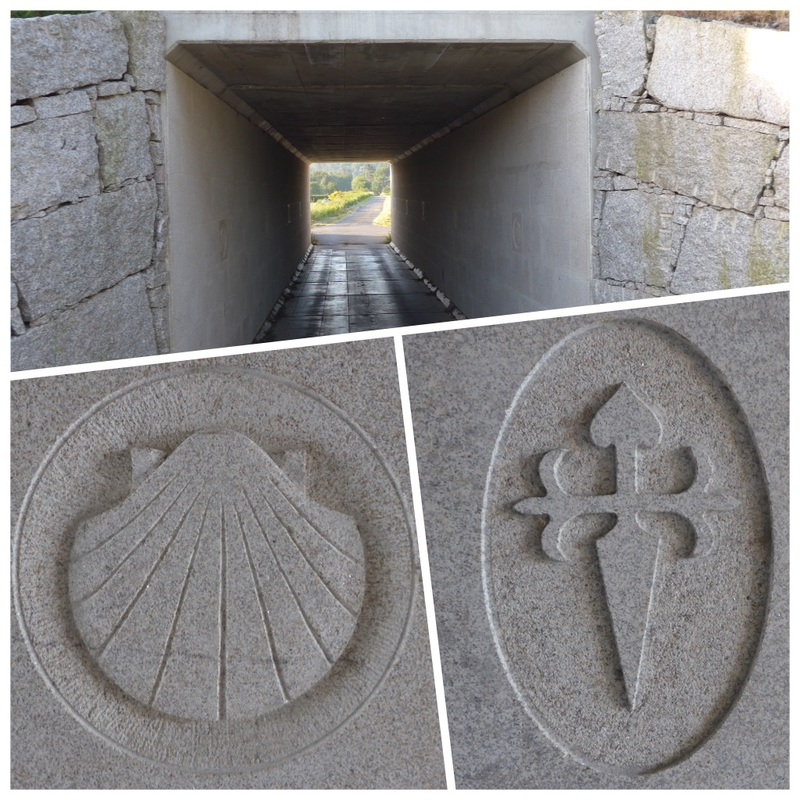 I passed through a tunnel that from the outside looked very utilitarian, but the walls were lined with beautiful carvings of the cross of Santiago and of scallop shells. A lovely touch. Some of the woodland had been newly planted with eucalyptus and judging by the felled tree trunks by the side of the road, it seemed that pine trees had been cut down to make way. Over the last few days I have been walking past small plots that are planted with vines on long trunks around the edges of the land, with other crops growing in the middle of the field. My Portuguese friend Aurelio told me last year that this is how the vines are grown that produce the sparkling Vinho Verde. We came across Jesus and Mary en route and stopped to take photos of eachother. They have been a presence on my camino for around four weeks now, and they always have a ready smile and something pleasant to say. A really charming couple. I am now passing through an area that must have an acid soil. 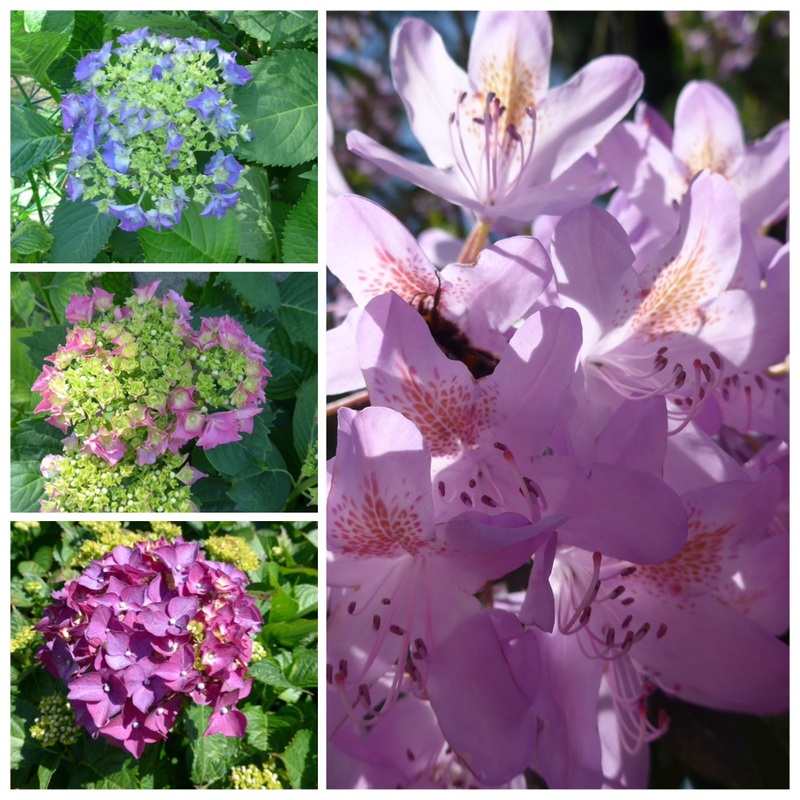 There are hydrangeas growing in abundance (although for the most part not yet in flower) and there are many camellias, rhododendrons and azaleas. I remember these beautiful flowers from my last caminos and am looking forward to seeing even more on my way to Finisterre. Paul and I coincided for a break in a cafe where we came upon a group of cyclists from South Africa – fourteen in all, who were cycling most of the way from Seville, but with a backup vehicle to transport their luggage. We passed a very pleasant few minutes swapping camino stories. 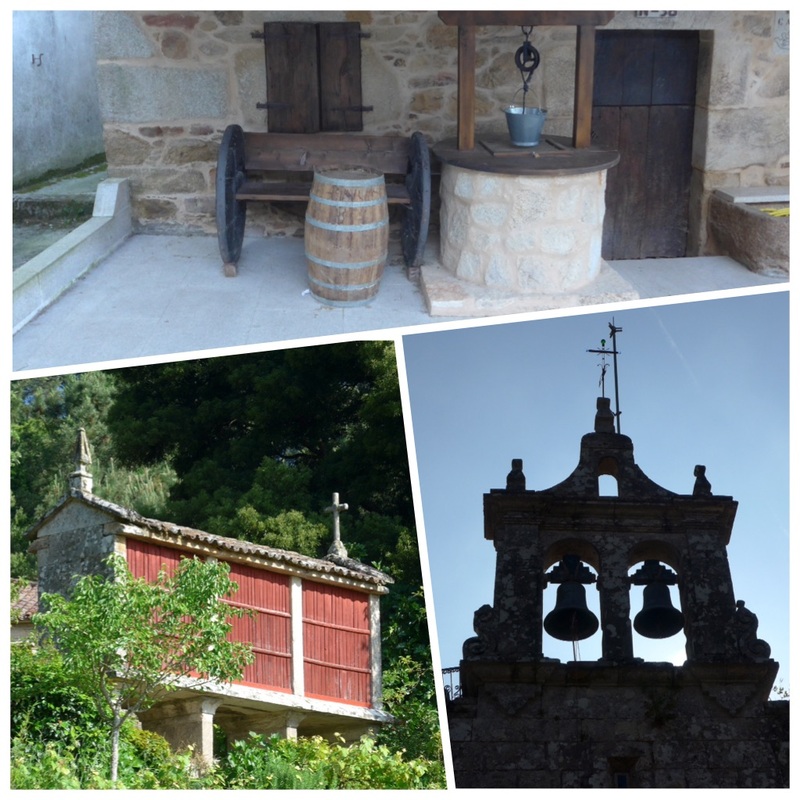 We are staying tonight in the Xunta albergue in Outeiro. A modern building with good facilities (but the normal awful showers – I am getting better at accepting my lot though – I even managed a conversation with the lovely Austrian woman whilst getting on with business). There was a small town called Ponte Ulla around 3 km before our destinstion and we saw lots of pilgrims visiting the Dia supermarket to buy supplies. I also popped in but just to buy a supply of nectarines. The others obviously knew what I didn’t – that our destination is a tiny hamlet with no facilities whatsoever. But there is food offered after 18:00 at the albergue, of which I will partake (not much choice really). But meanwhile I have been sitting here with the wonderful aromas of the Italians’ cooking wafting over me. But the hospitalera did sell me a bottle of wine before the 18:00 watershed, so at least I can keep one of my senses satisfied! There is not only no wifi at the albergue, and apparently no wifi in the village either, so this post will be late in arriving. Ha! But the hospitalera hadn’t reckoned with the determination of an English woman to post her blog. Have just taken a stroll down the road and found a beautiful hotel which should be closed, but I sweet-talked the owner into providing an excellent glass of white wine and wifi. So here you are! And more of this wonderful location tomorrow…. 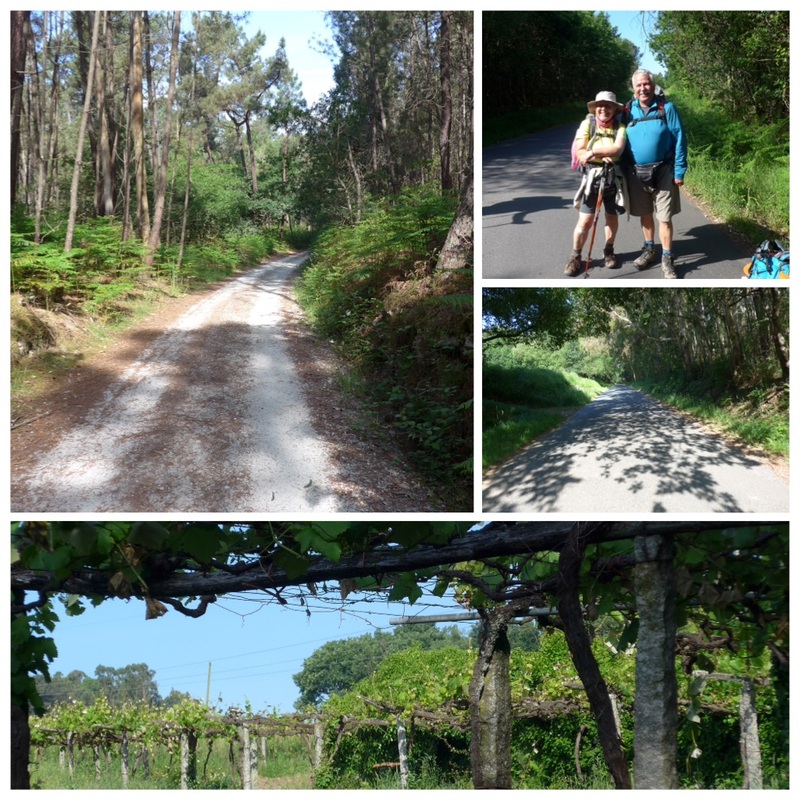 This entry was posted in Camino de Santiago de Compostela, Camino Mozarabe, Camino Sanabrés, Uncategorized, Via de la Plata and tagged Camino blog, Camino de Santiago blog, Camino de Santiago., Camino Frances, camino Portuguese, Camino Sanabrés, travel, Via de la Plata. Bookmark the permalink. Hooray… a photo of Mary & Joseph at last! What will you do when you get back home and you have to cook your own meals? You’ve been spoilt you have for the past 7 weeks – not! Nothing quite like raiding your ‘fridge and eating rubbish if you choose to do so is there? Have a nice dinner and a good evening- there won’t be many more like this left! Buen Camino! Jesus and Mary looked much different from my expectations – no halos, no beard and loin cloth either! So Jesus and Mary are definitively of flesh and blood, no divine apparations from 2000 years ago. Again I love all the pictures you made on the way. Nearly there——congratulations ! What an amazing journey you have walked. Thank you for all the beautiful photos. 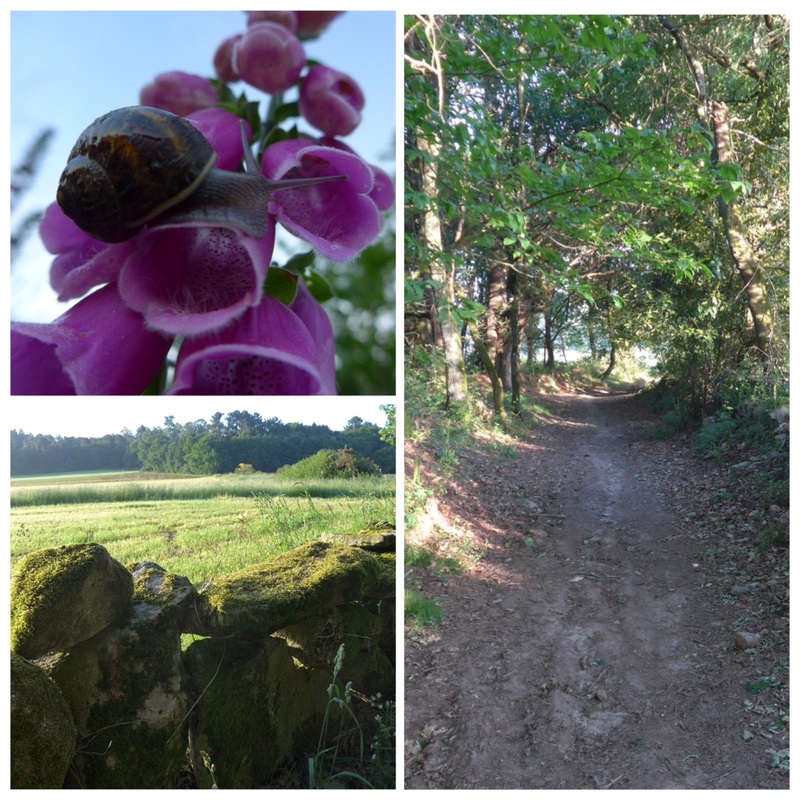 Wonderful blog – writing and photos. 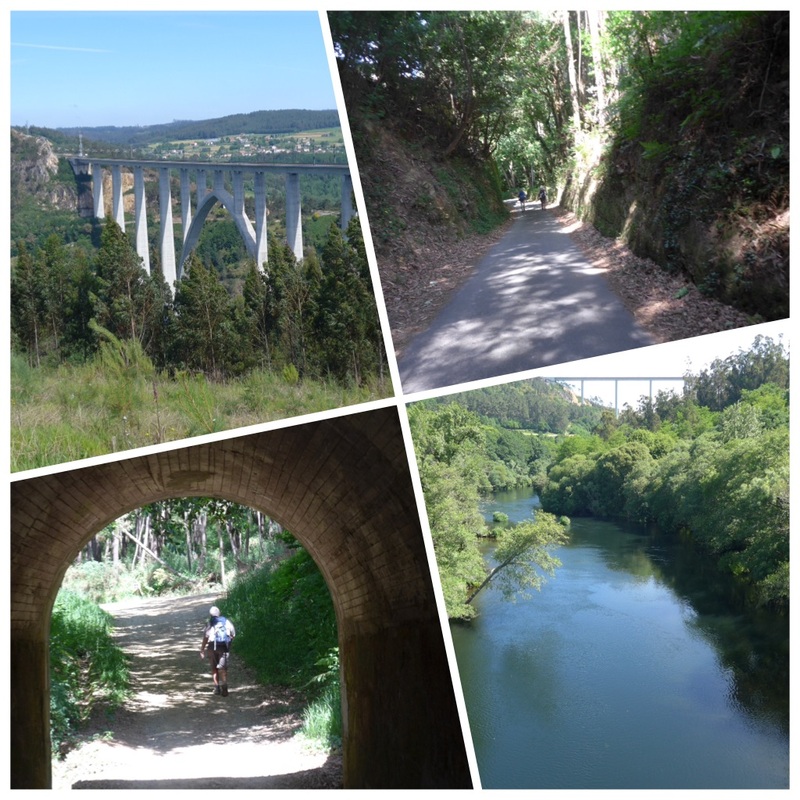 I can’t wait until I get on the camino this time next year! Wonderful foxgloves Maggie, I´ve never seen so many! You´ve nearly finished now, enhorabuena!